Having a deck installed at your home is a great way to enjoy additional outdoor gathering and entertainment space. However, when it comes to browsing through the various types of decks that you have to choose from, it can sometimes be difficult to make a decision. These days, there are two main materials of which most decks are made of: wood and vinyl. In the past, wood was the obvious choice because vinyl was still relatively new. However, many home owners these days are wisely choosing vinyl over wood as a way of enjoying an essentially maintenance-free deck and saving money without necessarily sacrificing the decks’ appearance in the process. There are many benefits to choosing a vinyl deck as opposed to a wooden one. The biggest advantage, as many home owners will tell you, is the fact that vinyl decks are much easier to clean and maintain. Unlike wooden decks, which constantly need to have protective sealant applied to them and need to be specially taken care of, vinyl decks require essentially no maintenance at all. The material is durable and easy to clean with a simple spray-down from a hose. Not to mention, the material will not rot, splinter, or otherwise deteriorate over time. Not to mention, vinyl decks can have a very similar aesthetic appearance as a wooden deck, making this a great choice for those who want theirs to have a decorative appearance. If you think that a vinyl deck may be the right choice for you, then you may want to begin by finding deck builders that specialize in constructing this specific type. 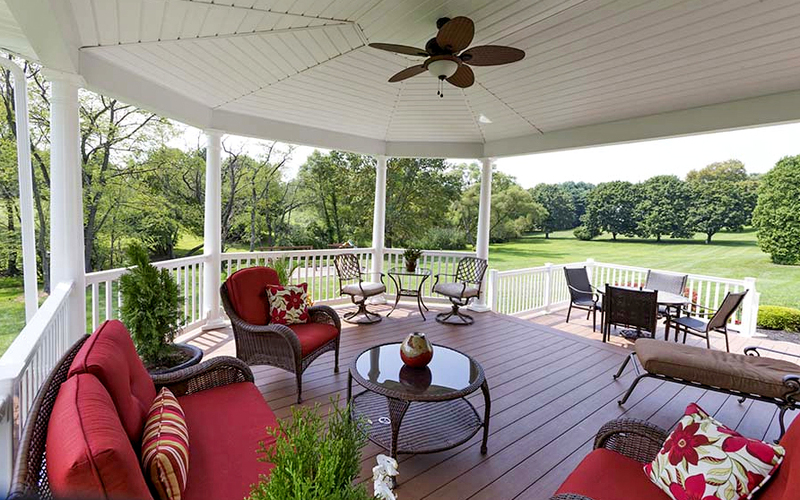 Specifically, you may want to look into going with Amish deck builders from Chester County, such as those at Deck Craft, in order to get the best results at your home.